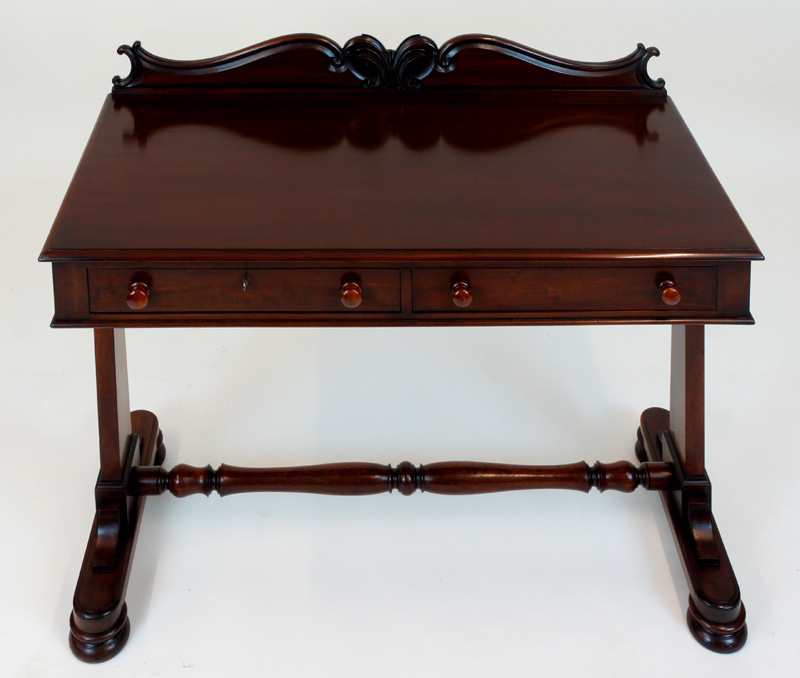 This is a very good quality, William 1V antique side table or writing table with a beautifully figured mahogany. 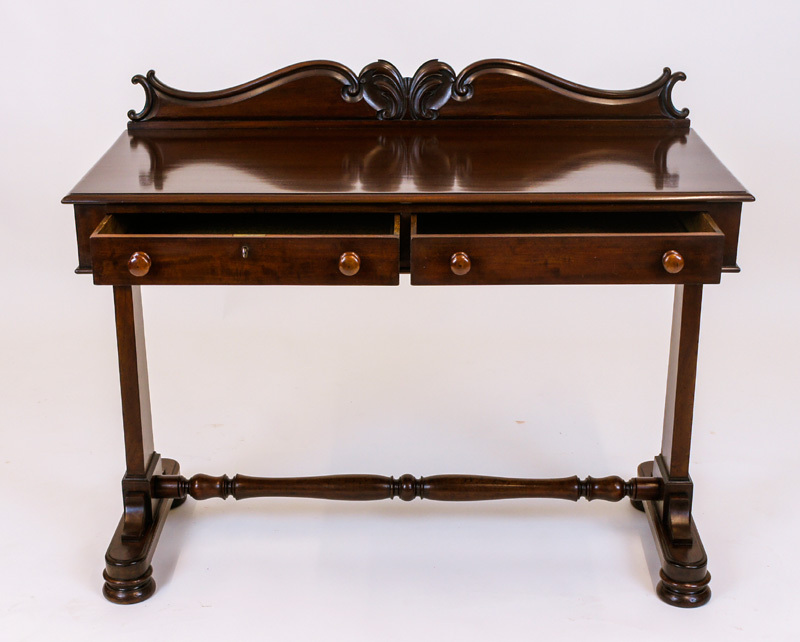 The top has top has a carved and shaped low back and a solid mahogany and a 'bull nose' moulded edge. 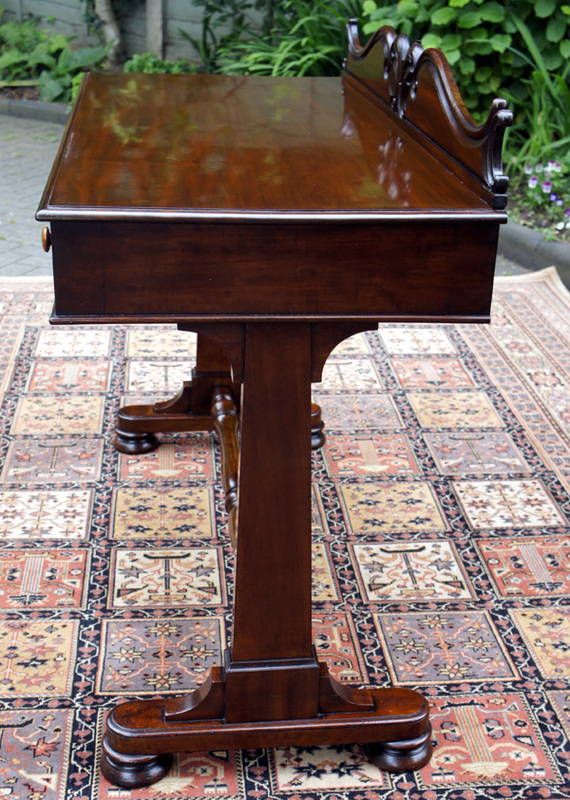 A well proportioned antique mahogany side table or writing table made from good quality well-figured timbers with a beautiful patina. A very good quality, William 1V, antique side table or writing table with a beautifully figured mahogany. 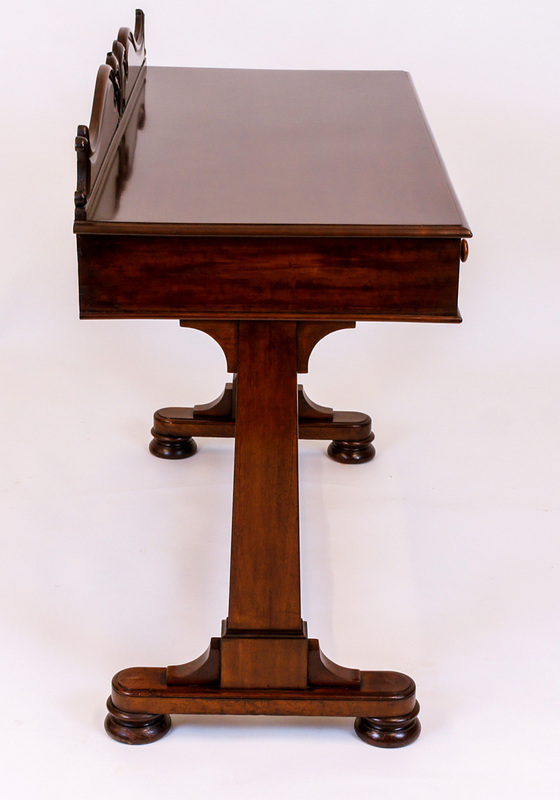 The top has top has a carved and shaped low back and a solid mahogany and a 'bull nose' moulded edge. 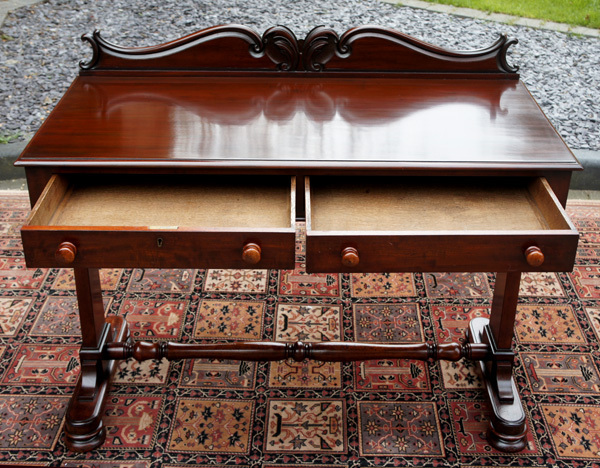 It is fitted with two oak lined drawers to the frieze and only the left-hand drawer has been fitted with a lock. Both drawers have the original turned wooden knobs. 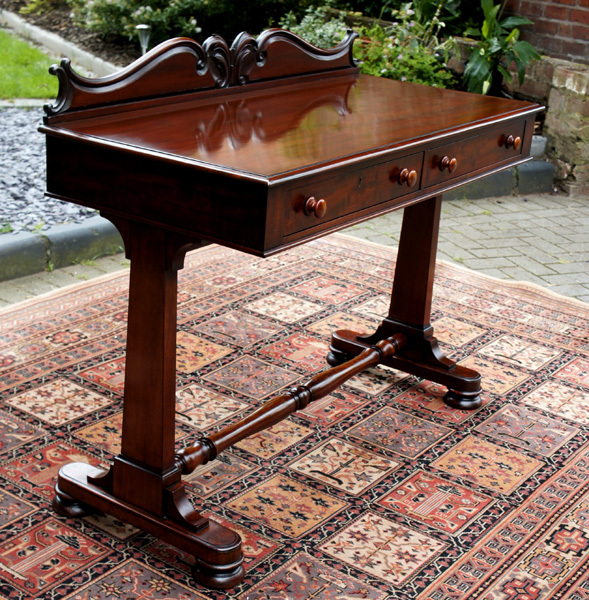 The table stands on two end standards with bun feet and are joined beneath by a well-turned stretcher. good quality well-figured timbers with a beautiful patina. 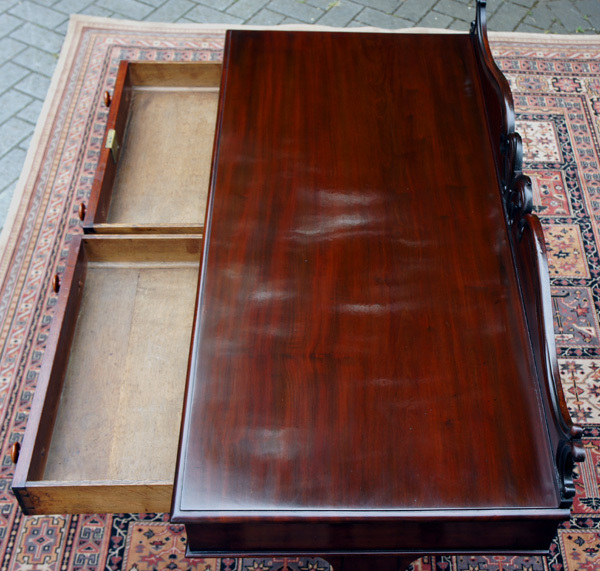 It is in very good condition and has recently been cleaned polished and waxed. 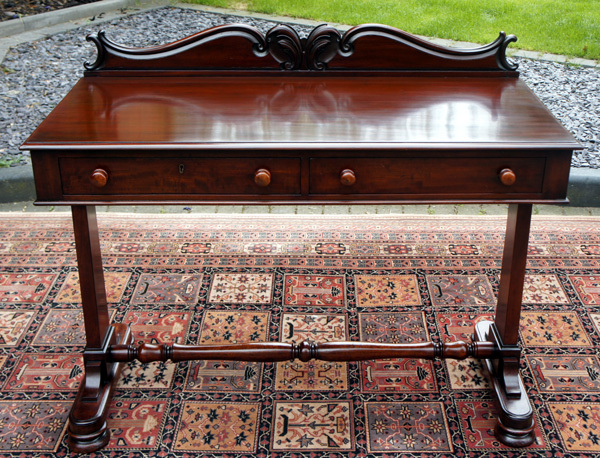 A very useful size table it would be a lovely addition to any room as a small desk or occasional table.